Welcome to another plunge into the tone-enhancing world of the electric guitar pickup. If you already read the first part in this mini-series on pickups, A Pickup Primer Pt I, you’ll be aware that magnets play an important role in any pickup’s function. Heck, you’re probably aware of that regardless. A traditional electric-guitar pickup is an electromagnetic device that requires a source of magnetism to do its job. The ways in which that magnetism is supplied, however, and the way it is used, can vary greatly, and the tone and performance of different pickup designs varies in part as a result of this. This installment, I’ll look at the different types of magnets used in pickup construction, how they are used, and the varying structures that influence their performance, all with regard to the sonic results. Many players will already be aware of two main categories of magnets used in pickup manufacturing: Alnico and ceramic. Some pickups are also made with rare-earth magnets like neodymium and samarium cobalt. For now, think of Alnico as the “vintage-voiced” magnet and ceramic as the “modern-voiced” magnet, while the rare-earth types might be considered “ultra-modern,” but there are exceptions to the rules in all camps. With that in mind, it’s important to be aware that similar magnets of each type are used in very different ways in different pickup designs, so we don’t want to make any assumptions that “Alnico pickups all sound like this,” and so forth. The Alnico magnets commonly used in pickup manufacturing come in four different types, labeled with Roman numerals II through V. As it happens, II and V are the more common of the quartet, with III and IV occasionally used by some makers. Each formulation of Alnico is differentiated according the composition of the alloy, and the numbers ascend according to the strength of the magnet. Alnico is nominally made up of aluminum (around 10 percent), nickel (around 18 percent), and cobalt (around 12 percent), usually with some copper (around 6 percent) and plenty of iron (54 percent) to complete the alloy. Some Alnico also contains a small quantity of titanium and traces of niobium. 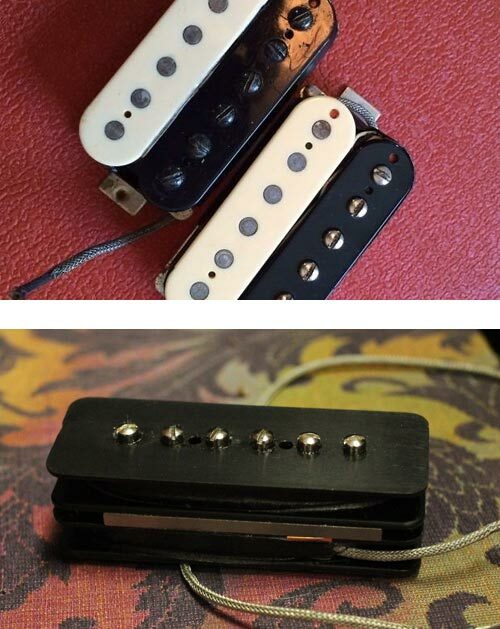 Whatever the exact ingredients—and even two different batches of, for example, “Alnico II” will arrive with slightly different proportions of these—Alnico II, III, IV and V do tend to exhibit slightly different magnetic characteristics and, therefore, contribute to different sounding pickups. Alnico II, the weakest of them, is a little softer and sweeter than the others. Alnico III is still rather soft but perhaps a little richer and slightly bolder. Alnico IV tends to be noticeably punchier than II and III, with more definition in the highs, while alnico V is bolder, clearer, and more aggressive still. Please keep in mind this is comparing fine points, which are also accentuated or masked by other factors in any given pickup’s design and construction, so any differences attributable to magnet type might be nuanced at best, but they do point the way for thoughtful makers to dial in their recipes according to the tone and feel they seek from any given type of pickup. Often, too, the choice of a particular formulation of Alnico will be made in an effort to chase a specific vintage tone, and based on what a manufacturer believes the original maker—Gibson, Fender, DeArmond, or whoever—used to make those particular pickups in the 1950s and ’60s. In truth, you could probably plug in a guitar loaded with pickups made with alnico II, III, IV or V magnets and describe all of them using any of the characteristics I have used above. You might even elicit similar flavors from yet another pickup made with ceramic magnets. But in close comparison, all else being equal, yes, these characteristics tend to play through enough for them to be accepted in the tone industry. Cheaper to produce and more readily available than Alnico, ceramic (aka ferrite) magnets sometimes get a bad rap in the pickup world, but that’s largely from the way they were used in the early days of ceramic pickups, and not due to any failing in the material itself. Ceramic magnets are made from iron oxide that is molded or pressed into a solid form with other compounds. They are capable of producing a lot of magnetism for their given size, and tend to remain stronger throughout their lifetime. This magnetic material first became popular in pickups in the ’70s, when makers (or modders) replaced the Alnico magnets in pickups that were designed to use them with stronger ceramic magnets, sometimes over-winding the coils in the process, and bam: hello high-output pickup. The power of these things impressed many players four decades ago, winning fans in rock circles for their ability to drive the front end of many tube amps into easy distortion. The problem is, that distortion was too often thick, muddy and flabby, too, with ragged lows and harshly clipped highs. But this isn’t the fault of ceramic magnets et al; it’s just how they were being used. High-output ceramic pickups have their place, certainly, but they shouldn’t be considered representative of “the ceramic pickup” as a whole, and there are dozens of other excellent designs that employ ceramic magnets effectively. A number of excellent sounding G&L pickups, for example, including many designed by Leo Fender himself, use ceramic magnets, as do highly respected “boutique” pickups from both Joe Barden and Bill Lawrence, and plenty of excellent designs from DiMarzio and Seymour Duncan too. While the latter two makers often use ceramic magnets in pickups intended for heavy rock and metal players (although they do so today with due consideration of the full range of factors associated with ceramic magnets), many pickups from G&L, Barden and Lawrence aim to attain vintage-voiced sweetness and unprecedented clarity in pickups that appeal to jazz, blues and country players as much as to rockers. The designers of more nuanced ceramic pickups achieve their success by redrawing the blueprint, to some extent at least, and conceiving their pickups from the ground up with the properties of ceramic magnets in mind. This means, among other things, adjusting the number of wire turns considerably downward, in most cases, to maintain a broad frequency response and achieve a clean, dynamic performance. Simply substituting ceramic for Alnico as a hot-rodding effort, as was often done in the early days, usually results in a big but flat voice, and works for little else than super-high-gain rocking. Redrawing all the parameters accordingly and working with ceramic’s strengths, these makers produce pickups that are nuanced, musical, and extremely well defined. Depending upon what you do with them, you can convince your ears that they are “vintage sounding”, or entirely “modern”. In the end they are simply something different. Some clever pickup makers have also used rare earth magnets in new designs in recent years. Tom Anderson uses neodymium in some of his more contemporary styled pickups, and Bill Lawrence has employed samarium cobalt in a range of pickups designed for Fender. Magnets made from these rare materials are very expensive, but also extremely powerful—as much as seven times as powerful as ceramic magnets of a comparable size—so much less magnetic material is required in the construction. On the whole, such magnets contribute to pickups that exhibit high fidelity and a broad frequency response. Ultimately, what the detractors of these high-end ceramic or rare earth pickups might hold against them most is their unfamiliarity. A player’s first experience with something like a set of Joe Barden S Deluxe pickups can be daunting. Often, guitar and amp settings and playing style all need to be adjusted, to some extent, to account for the clarity and resolution that high-fidelity ceramic pickups such as these will present, and sometimes the experience is just too revealing for some players to enjoy. Others very much appreciate their sensitive, revealing, hair-trigger expressiveness. Understanding the common inherent differences between different types of magnets gets you further down the road toward understanding what makes different types of pickups sound the way they do, but of course it’s only part of the picture. If we examined a dozen different makes of pickups that were all made with Alnico II magnets, for example, we would find in many cases that the actual magnets themselves are different shapes, lengths, weights, densities, and strengths. Any difference in the type of magnetic material will alter the “gauss” of the magnet, that is, the strength of the magnetic field and the extent to which it reaches out beyond the pickup itself. The size of magnet used, however, the way in which this magnet is built into the pickup as a whole, and its position in or below the coil will also affect the reach of the magnetic field, so even the exact same magnet material with the same gauss will result in two different magnetic fields in differently structured pickups. For more on the latter points, refer once again to Pickups Primer PtI, which discusses at length the extremely significant differences between pickups made with their magnets within the coil vs. those made with magnets underneath and steel pole pieces running through the coil. Regarding the magnets themselves, though, it’s important to remain aware that different shapes and sizes of what is otherwise the same material will lead to differing magnetic strengths and, therefore, slightly different tonal responses. 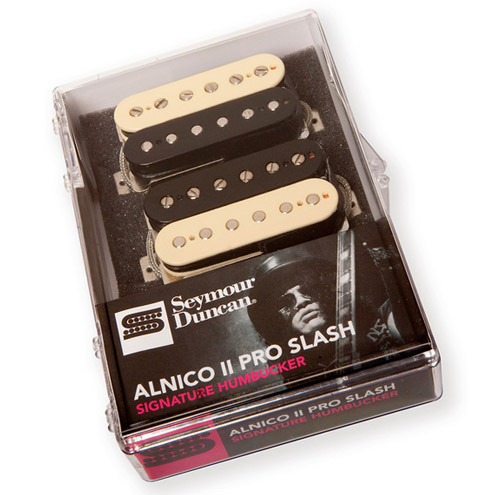 Alnico magnets are most visible as the pole pieces of Fender single coil pickups, where six are used in each of the traditional Stratocaster, Telecaster and Jazzmaster designs, one visible under each string. As used in these great golden pickups, the magnets are inserted right into the bobbins (or more accurately, the “flatware,” the flat fiber top and bottom plates of the pickup), and therefore are contained right within the coil itself. The other most popular pickup types, the Gibson PAF-styled humbucker and Gibson P-90, also use alnico magnets, but they are hidden beneath the pickup, or rather, between the bottom of the bobbin and a base plate that holds the entire structure together. These pickups use alnico bar magnets—one magnet in the case of the PAF, two in the P-90—which transfer their magnetic properties to steel pole pieces that run through the coil(s), so the poles you see on these pickups are not the magnets themselves, although they do react with the magnet and help to determine the magnetic field. Differences in the positioning of the magnet(s) and the shape of the magnetic field are significant factors in the overall design of any pickup, and they play a big part in determining a pickup’s voice. Similar to the principals discussed to some extent in Pickups Primer PtII in relation to the shape of the coil, a wider magnetic field—something produced, for example, by the two rows of pole pieces within the two coils in a traditional Gibson humbucker—means a wider window for sensing string vibration, and a relatively thicker, fuller, warmer sound as a result. As touched upon above, every magnetic metal component involved in the construction of a pickup can, and usually will, influence its magnetic field to some extent, so all such parts also play a role in shaping any pickup’s sound. It’s no surprise that the individual steel pole pieces in a PAF-style humbucker or P-90 single coil have an impact on such pickups’ performance, since they play a big part in relaying the magnetism from the actual magnet(s) mounted below the coil to the strings passing above it. But the shape, density and composition of any other steel parts used in those pickups’ construction will also influence the magnetic field, and the pickups’ sounds as a result. As with so many other factors these might be fine points, but they are considerations that are paid close attention by—for example—small winders seeking to crack the code on vintage PAFs, while others generally remain aware that such components will affect their results in one way or another. 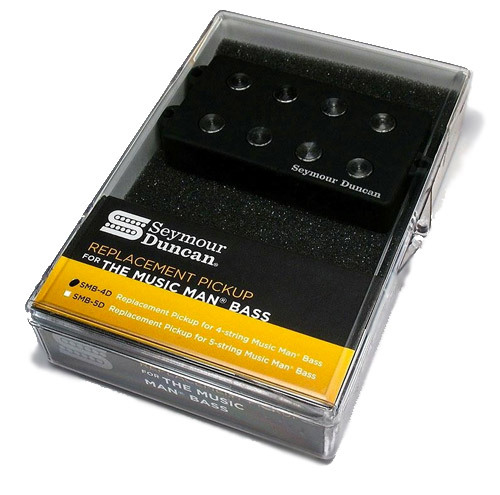 Most players have heard the tip about removing the metal cover from a humbucker to increase high-end response (which may or may not be a good thing, depending on what you’re after—and may or may not also damage a valuable pickup in the process), but few consider that, for similar reasons, a pickup’s metal base plate or other structures will also influence its magnetic field, its microphony, and other factors related to its performance. It’s difficult to say here exactly how such parts will affect different types of pickups, and it varies from pickup to pickup, and from material to material, but the fact is worth remaining aware of. Looking at an entirely different type of pickup, it’s worth noting that the metal base plate stuck to the bottom of a Telecaster bridge pickup, which enables it to be mounted on the three threaded bolts that suspend it from the bridge plate, also has an impact on this type of pickups’ sound. The base plate—in conjunction, to some extent, with the steel bridge plate itself via the three metal bolts—increases the Tele pickup’s inductance and marginally thickens its midrange response, in many cases, while also playing a role (again, in conjunction with the traditional Telecater bridge structure itself) in the overall resonance and “liveliness” of that pickup design, as used in that particular type of guitar. In Pt IV, we’ll the relevance of specifications like impedance and inductance, considering what they can tell us about any pickup’s performance, and what they can’t. ABOUT THE AUTHOR: Dave Hunter is a writer and musician who has worked extensively in the USA and the UK. He is the author of The Guitar Amp Handbook, Guitar Effects Pedals, Guitar Amps & Effects For Dummies, The Gibson Les Paul and several other books. Dave is also a regular contributor to Guitar Player and Vintage Guitar magazines.